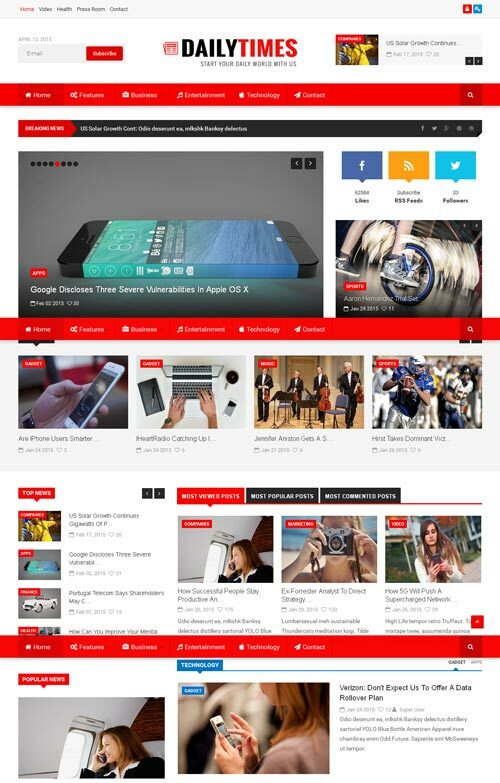 DailyTimes from a ThemeForest is a responsive magazine and news Joomla template. It has a 2 unique home variations, 6 predefined color styles and 2 different header layouts. Supports K2 and News Show Pro GK5.